Paul, Annie. 2009. Regarding the South…from the South. Catalogue essay for exhibition South-South: Interruptions and Encounters. Justina M. Barnike Gallery, Hart House, University of Toronto. 65-70. In the course of the next two weeks, I met and spent time with more stimulating artists, curators, writers, critics, collectors and artworks than I had encountered before. The Havana Bienale is the most important site for showcasing art from the global South and has grown into a hunting ground both for curators looking for new talent as well as collectors in search of hot, new items from the Third World. The buzz at this Bienale was that Okwui Enwezor, the artistic director of Documenta 11, was in town with his curatorial team. Enwezor and his retinue snaked through the various events moving fast, pausing every now and then to shake a hand here or exchange a word with someone there. At one point I turned around to find the artistic director advancing on me, hand held out, saying he had been told about me and that he would ask for my assistance closer to the time for the Documenta Platform on Creolité. I also met and spent time with Salah Hassan and Olu Oguibe. It was exciting to meet personalities like this; people one had known from their writing both in Nka and Reading the Contemporary: African Art, From Theory to the Marketplace which I had devoured in Kingston and used in my writings. I now discovered, to my regret, that Enwezor and Oguibe, two of the most incisive curatorial talents from the South, had parted company and ended what had been a very productive relationship of several years standing. 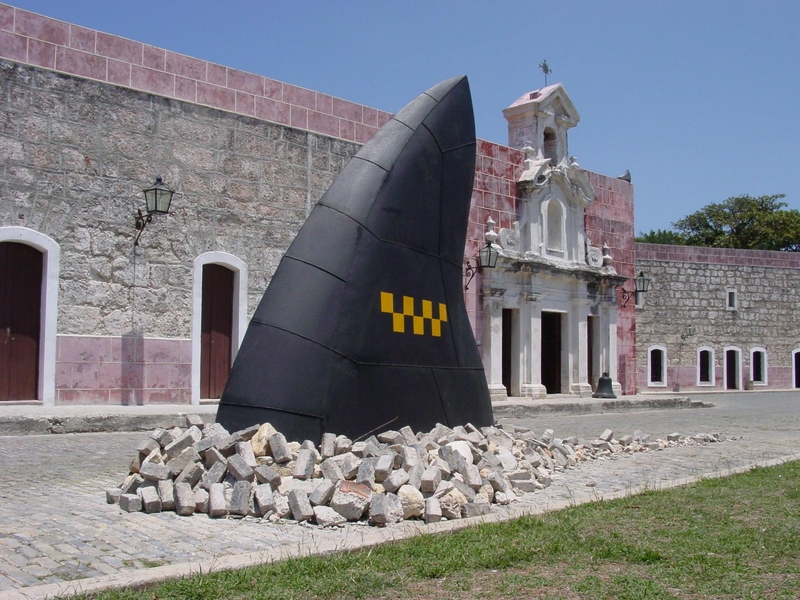 It was in Havana that the rupture was made public. Allegedly it was this letter that led to the end of what had been a very productive, exciting relationship between two critics and curators, both from Nigeria. One can only speculate as to the reasons for this. Perhaps Enwezor, having recently been appointed Artistic Director to the most prestigious global/European art event, felt a need to distance himself from Oguibe’s more confrontational posture. Perhaps, for the former, the unprecedented nature of his appointment would have seemed to demand tactics of negotiation and diplomacy rather than confrontation. While Oguibe’s critique may not have come at the most opportune time, it certainly resonated with the experience of other South- and Africa-based curators. 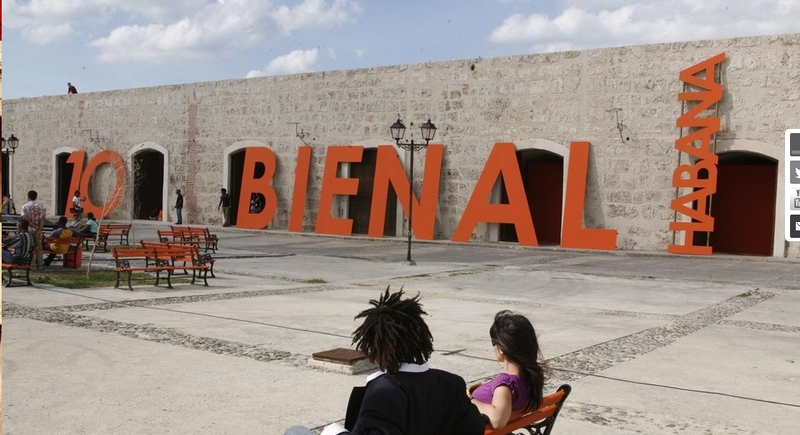 In her January 2001 report on the Havana Bienale in the Mail and Guardian, Koulla Xinisteris pointed out that the mandate of the Bienale made claims about “the investigation, diffusion and recognition of the visual arts of the Caribbean, Asia, Africa and the Middle East,” yet it featured only 14 artists from the African continent out of 170 artists from 60 countries. As she put it, “At a biennial embracing the voice of the ‘othered’ Third World…I could not help, as a South African, feeling the absence of a strong presence of African artists at the biennial.” Though she did not explicitly state this, perhaps–as Oguibe had pointed out–having an African curator on board would have ensured better representation at this art event as well. It’s obvious from all this that representative inclusion in international art exhibitions is a problem not only when dealing with North-South initiatives but also with South-South ventures such as the São Paolo and Havana Biennales. Despite this Havana was a stimulating and pivotal experience for me. There were a number of artists from other Caribbean islands and the Caribbean diaspora in Havana and we tended to meet up for drinks and meals everyday. Missing were any artists or art personnel from Jamaica next door although some weeks later Cecil Cooper, the head of the painting department at the Edna Manley School of Visual Art in Kingston, brought his students to visit the Biennale. This was a pity: hanging out with the Caribbean contingent would have given the students a real sense of belonging to a region, rather than a narrowly demarcated ‘nation’ state. It was seven years since I had started writing about art in Jamaica. An invitation to review the 1993 Annual National Exhibition put on by the National Gallery of Jamaica had opened up the world of art writing to me. In India I had been an artist, making paper collages, which I continued doing after moving to Jamaica in 1988. By 1992 my work had been selected to participate in three Annual Nationals. Despite this warm embrace, I didn’t find the Jamaican artworld an enabling or stimulating space and I wanted in my review to explore some of the reasons for this. One of the formative influences on my development as a critic/commentator was a piece I had read in 1979: Preliminary Notes for a Black Manifesto in Art by Rasheed Araeen. I still had the xerox copy of it I’d made at the time; it turned out to be a kind of fetish document which I retrieved and read several times before and during the writing of that first piece in Jamaica Journal, “Voices or Echoes?” “Is not the history of art still being written according to the Hegelian historical framework in which only the Western subject was privileged?” was the kind of question Araeen was asking. His was a trenchant and indignant voice that I completely identified with because it put flesh on the skeletal doubts I had started harbouring about the discourse of Art in general. Araeen was a Pakistani artist living in Britain and his ability to mount such a cogent critique of a fundamental institution of Western civilization– Art—was tremendously enabling for me as a young Indian artist who had recently moved to the West. Having been weaned on ‘Black Manifesto,’ I was surprised to find that the artworld of Jamaica seemed oblivious to the kind of systemic critique Araeen and others had leveled at Euro-American modernism. On the contrary, it seemed as if the narrative of Jamaican art history was trying hard to gain recognition as a tributary of the global mainstream. It was commonplace to read reviews of Jamaican artists comparing them to Poussin, Bacon or Pollock; Jamaican art history uncritically adopted the exclusivist vision of Western art history, blinkers and all, down to reproducing the category of ‘primitive art’ after euphemistically renaming it ‘intuitive art’. The objective seemed to be the faithful representation of the gospel of modern art as received from the Western Canon. Between 1983 and ’93 I found myself with little time or interest in an intellectual life (my son was born on July 26, 1983, a few months shy of the implosion of the Grenada Revolution. July 26 is an auspicious date in the Caribbean: the day the Cuban revolution declared itself). As I plunged into life as a mother and housewife, I remained quite unaware of the revolutionary developments that had taken place in the study of culture and society, the theoretical debates that unfolded in the wake of Said’s Orientalism for instance, or the influential interventions of the French theorists. I had always wondered what had become of Rasheed Araeen and it wasn’t until 1994 that I discovered that he was the founding editor of Third Text, a journal I was by then quite familiar with. I was interested to find that the ideas Araeen had floated in Black Manifesto were memorably explored in a landmark show he curated in Britain called The Other Story. It was in 1994 that the Indian cultural theorist Tejaswini Niranjana came to Jamaica to expand her knowledge of Caribbean culture. Asked to teach the Commonwealth Literature course at the University of Hyderabad, Teju acquiesced only on condition she be allowed to teach Caribbean and African Literature. Hitherto only British and Australian writing had been offered in the course. Having gained the necessary go-ahead, she was now in Kingston to start getting a grip on Jamaica, and its voluble popular culture in particular. It was through Teju that I was exposed to the new ways of thinking that had emerged in the eighties, particularly the field of cultural studies, which I took to like a magnet. She was a patient and generous interlocutor. Perhaps I provided her a similar resource: a native informant of her own nationality! What strikes me now is that at the time of her visit Cultural Studies was not a field that anyone on the Mona campus was really familiar with and, with a few exceptions, most of us were ignorant of the trailblazing insights that a son of the soil, Stuart Hall, had contributed to the academic firmament. The fortuitous, contingent nature of South-South initiatives and relationships is worth noting. Through Teju I met David Scott, the postcolonial theorist and anthropologist, who was to have a great influence on me. Scott, who was then at the University of Chicago, channeled and directed my burgeoning interest in the politics of culture. Within two years David fulfilled a long-held desire to return to Jamaica to write, teach and research from here by taking up a position at the University of the West Indies. When I started writing an opinion column in the Herald, a Jamaican newspaper, David vetted everything I wrote and gave me valuable lessons in writing and the strategy of criticism. Not myself being Caribbean-born and bred David’s counsel proved an invaluable safety net. The partnership also led to the launching of the journal, Small Axe, a forum for critical writing that had been a dream of David’s for some years. With my experience in scholarly publishing (my substantive position at the University of the West Indies is in this field) and David’s surefooted editorship the journal got off to a promising start in 1997. 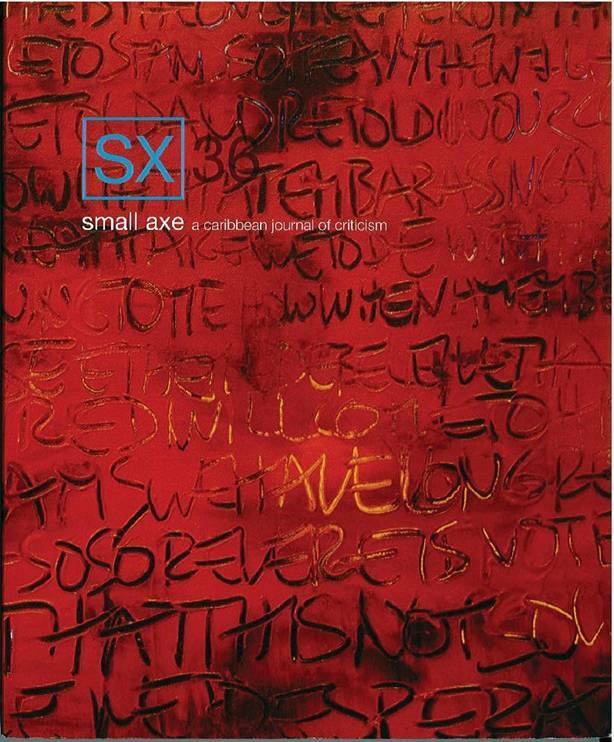 Small Axe was and is an ambitious attempt to produce a Southern forum that challenges “received paradigms and assumptions about the Caribbean.”The journal was the first leg of this larger project. It’s critical intentions were announced by its name and explained in its mission statement: “’If you are a big tree, we are a small axe.’ As this Jamaican proverb (popularized by Bob Marley) suggests, a small axe is an instrument of criticism. This is what our journal aims to be: a small axe.” The journal was in search of a new vocabulary of criticism that would illuminate the twilight zone that scholarship in the South faced: a moment “when older paradigms are no longer plausible and new ones have not yet asserted themselves.” It also wanted quite simply to intervene–in such critical debates and rethinkings as might be taking place in or around the region. Alas the journal was not able to withstand the institutional indifference it met with. Local scholars seemed too invested in the old paradigms and viewed the journal with suspicion and hostility. After exhausting the few publishing possibilities available in Jamaica, Small Axe was forced to migrate to the United States and a new publisher—Indiana University Press (very recently the journal has moved to Duke University Press). Now located in the diaspora, Small Axe’s trajectory mirrors the experience of scholars such as Scott and others who attempt to return home after stints in the North. This re-insertion into Southern locations exposes scholars interested in new frameworks of interpretation to incomprehension and sometimes even derision from those in control of the Academy at home. Many are forced to remain in the diaspora as their work is deemed too theoretical, divorced from ‘reality’ or otherwise irrelevant to the scholarship in currency. It was for similar reasons that Stuart Hall’s oeuvre failed to reach the University of the West Indies till the mid-90s. Today Small Axe commands an influential position among journals with a Southern purview although it scarcely has a presence in the land of its birth. Despite this, it has certainly added to, if not transformed, ‘the landscape of knowledge production in and about the regional and diasporic Caribbean’. Although it was never intended to address the Anglophone region exclusively ‘regionalizing’ the journal has been remarkably difficult; the extent to which islands in the Caribbean are linguistically marooned from one another should not be underestimated. 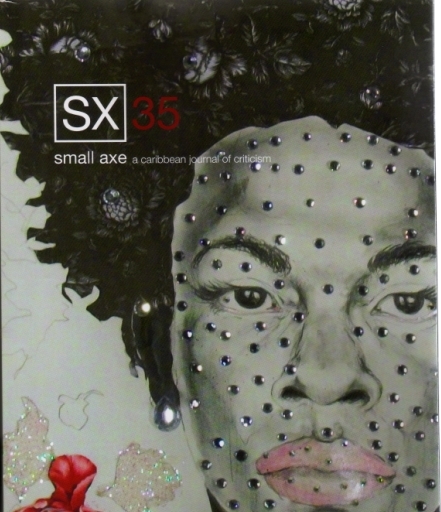 In 2008 Small Axe moved from being a bi-annual to producing three issues a year, one of which will be devoted to the Francophone Caribbean. Small Axe has grown in ways that could not have been predicted; having been conceived as a perpetual ‘work-in-progress’ the shape it would take has always been contingent on the writers, scholars and audiences that have engaged with it. As its editor recently pointed out, the journal is now fulfilling a demand by younger generations of scholars not simply for a ‘journal of intervention’ but a ‘journal of authorisation’ that enables them to develop their scholarly practice in the various universities they teach in, many of which are in the diaspora. Yet Small Axe has also resisted becoming another ‘diaspora journal’. At least half of its editorial collective reside and work in the physical Caribbean. Right from the beginning Small Axe included visual documents, both in terms of artists’ projects and art writing, in its critical ambit. This was one of the things that set SX apart from other journals of its kind which tended to be more rigidly text-based and impervious to visual culture. Thus in its early days, the journal offered me the space to articulate my thoughts about visual art and culture in Jamaica. 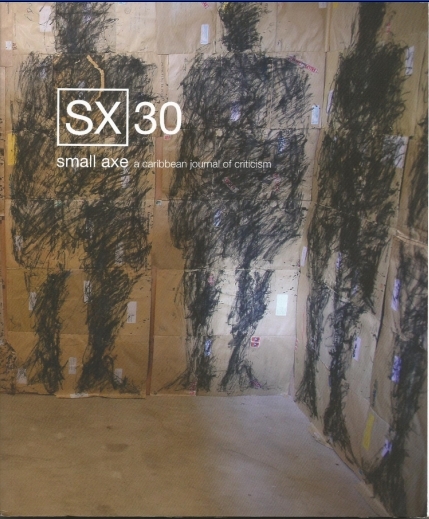 The inaugural issue of Small Axe carried my essay, Pirates or Parrots? in which I drew a contrast between the high art scene in Jamaica and its musical or popular culture. I pitted the highly self-conscious imitative tendency of many visual artists (parroting) against the hyperfertile, angst-free creativity of Jamaican musical producers who took what they needed from wherever they wanted making something new in the process (pirating). I also commented on other things I found odd such as the high percentage of white and light-skinned artists, many of them expatriates, who constituted the Jamaican artworld. Who makes art here? I asked, and for whom? In this I was echoing David Scott’s interrogation of anthropology: Who speaks? For what and to whom? Pirates angered a lot of people and I was told by a Jamaican at the 1995 conference where I first delivered the paper, that I had embarrassed her with my critique of Jamaican visual art, something she and many others felt Jamaica had a proud tradition of. Even if there were now problems with the artscene it was something I ought not to be speaking about in public, amongst foreigners. Belatedly I realized how very intertwined the story of Jamaican art was with the story of the Jamaican nation. I also became aware of something else I had not thought sufficiently about: that the Jamaican middle classes thought of their country as an exemplar of a successful ‘black’ or ‘Afro’ nation which prided itself on its prowess in the arts. The fact that Jamaica could boast a National Gallery, a National Dance Theatre Company, a National Pantomime and an art school was seen as proof that this former ‘slave colony’ was capable of high culture and therefore more than worthy of being taken seriously. I had completely underestimated the extent to which the national modern in Jamaica was invested in these tokens of colonial prestige. 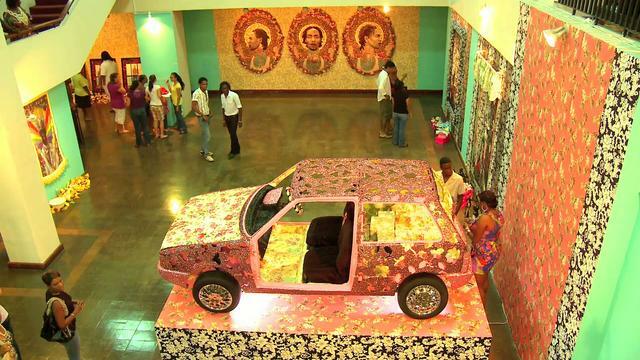 The reasons for the desultory state of contemporary art in Jamaica are manifold. 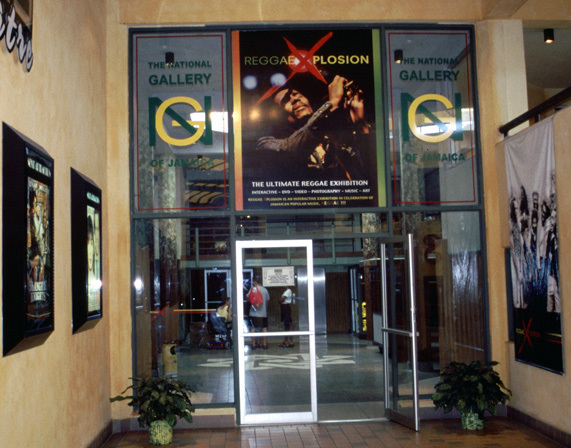 The rapid institutionalization of the Jamaican artworld, revolving around the central institution of the National Gallery as the ultimate arbiter of artistic taste and validity, has proved problematic. Headed by the same curator for 34 years the institution has not had the benefit of diverse curatorial strategies or visions guiding its collection or the exhibitions it puts on. There is no clear separation between the curator’s artistic practice, his own private collecting practice and his role as the nation’s curator as it were. For instance it is de rigeur for the curator’s own artistic works to be included in all National Gallery shows, usually with premium location and space accorded to it. The value accorded to his work is inevitably imbued with the importance of the position he holds and being the de facto authority on art he has the authority to advise private and corporate collectors on suitable artists to collect. There is also not much transparency in the selection of members of the board of the Gallery, with board members often being collectors themselves and serving consecutive terms on the board without the kind of renewal and reshuffling of such positions ideally required. There is a tacit understanding that such departures from the standard code of ethics governing museums and galleries around the world are not only inevitable they may even be required due to the small size of the country, its limited art literacy and its location in the South. Jamaica is also the only country in the Anglophone region to have tertiary-level education in visual art, the Edna Manley College, which receives students from other Caribbean countries although its staff is drawn mostly from Jamaicans and foreigners resident in Jamaica. Again appointing artists and art educators from the region in addition to Jamaican tutors would provide the injection of diversity lacking from the curriculum and staff at present. The National Gallery has already started redressing some of the shortcomings mentioned earlier. For instance a series called Curator’s Eye mounted every other year has given external curators, Eddie Chambers in 2005 and Keith Morrison in 2007, the opportunity to introduce and spotlight a different range of artists and artworks for the Jamaican public. One hopes that invitations to curators based in the region will follow and that the Gallery will resume showing work from the rest of the region and not just Jamaica and its diaspora. The problems of art production and consumption in Southern locations are probably very similar. We have been relegated to the position of voyeurs for so long (an insight offered by Cozier), condemned to be outsiders in relation to the so-called mainstream that Art from the Caribbean often suffers from an identity crisis. What are suitable subjects for a Caribbean artist to portray? Should one as an artist be delving into personal or ancestral narratives or should one’s art be aimed at uplifting and liberating one’s race or the faceless mass known as the people? 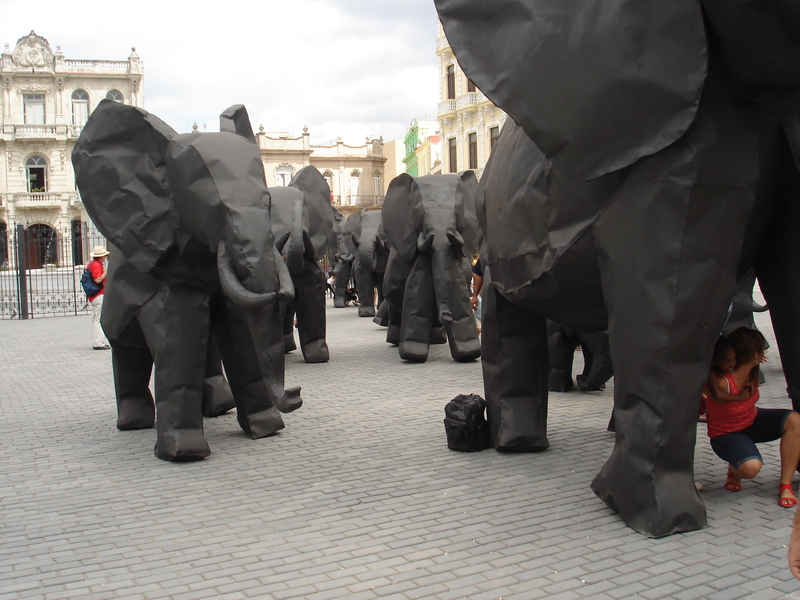 What about demonstrating familiarity with the latest trends in international visual art? Shouldn’t artists from the Caribbean be able to participate in transnational conversations about art? Might this render their work unreadable to local audiences? If Caribbean-based artists cater exclusively to the demands of local art collectors will they not remain moored in insular islands? Won’t their work continue to be overlooked by international audiences? Is it even remotely possible to have visibility both on one’s home ground as well as in the international arena? Such are the questions that haunt artists in the Caribbean. What we need more than anything from art institutions in the region is less gate-keeping, less authorizing and licensing of what constitutes art and more of an infusion of the kind of questioning, searching spirit that has motivated projects such as Small Axe. Nor do such ruminations have to be undertaken in isolation. Linking with artists and critics in the diasporas of the Caribbean, ready-made stepping stones to the outer-national, would be a logical move for all concerned. 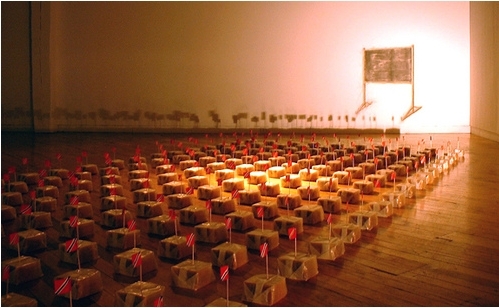 Although Oguibe mentions this exhibition in his letter, Regarding Sao Paolo, he went on to say that the show, titled “Shift” never was mounted in the end. Koulla Xinisteris, “A Moment of Possibility”, Mail and Guardian, Friday, January 19-25, 2001, p. 3. ANNIE PAUL is a writer and critic based at the University of the West Indies, Mona. Editor of the book Caribbean Culture: Soundings on Kamau Brathwaite Paul is the recipient of a grant from the Prince Claus Fund (Netherlands). She is a founding editor of Small Axe and the original Caribbean Review of Books; and has been published in international journals and magazines such as Newsweek, the Guardian (UK), Chimurenga, The Caravan (India), Slavery & Abolition, Art Journal, South Atlantic Quarterly, Wasafiri, Callaloo, and Bomb.